Paul Internet is an international conglomerate and media solution provider that hosts a global reach in the technology sector. We are also the largest supplier of IP Address related data and technologies. Our ranging portfolio consists of advertising solutions for mid and large scale businesses, corporate and retail software products, analytical data supply chains, and trending technology services. Today our core focus is acquiring technologically advanced products and services, maintaining our lead of IP expertise, and birthing ideas of cutting-edge nature that serve a need in today’s online marketplace. 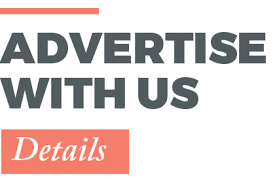 We utilize our expansive portfolio as an opportunity to serve the advertising needs of others in the industry. We encourage you to see just how far our reach goes. Review our portfolio here. Our Mission: To provide sound and quality products and services, both directly and indirectly, to our customers and media partners. Our Vision: That Paul Internet promotes a viable portfolio that answers technology-driven needs now and in the future, setting the global tone for technology as a whole. Click here to read a personal message from Michael Paul, Founder & CEO.